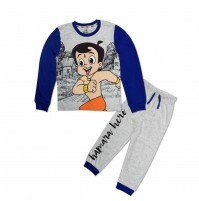 The Chhota Bheem night suit in display is a sleepwear for boys. 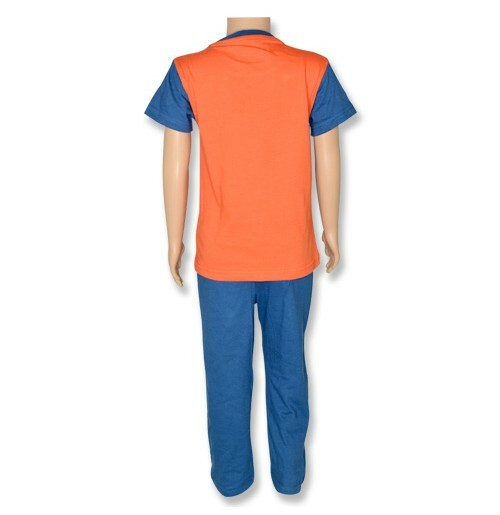 It is made of cotton which gives utmost comfort and is also easy to wash and maintain. 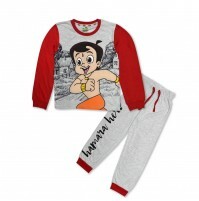 And cute attractive Chhota Bheem print on the T-shirt and bottom makes it look stylish and attractive. Round neck adds elegance of style to it. 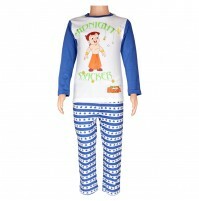 This pull over style night suit will provide maximum comfort and keep your little one relaxed during sleep time. 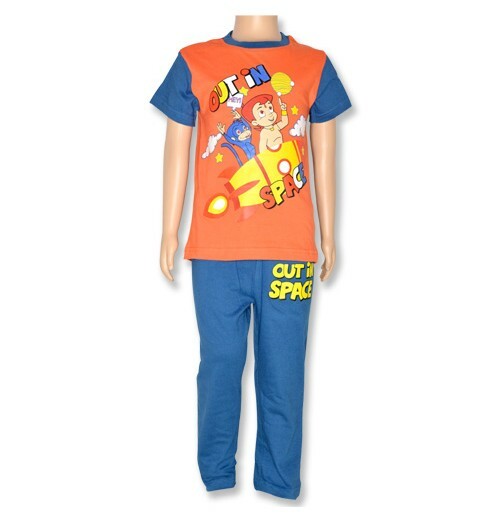 Elasticated waist pajama makes the night suit easy to wear.